Well-trodden paths like Highway 29 in Napa, RN74 in Burgundy or the Mosel River in Germany are obvious vinous routes that have been signposted and gentrified over decades but not Jumilla. Parched, bleak and seemingly barren under the heat of midsummer there are only the faintest hints of civilization, usually in the form of an isolated sign, a decaying old farm house or the random fellow traveler rushing to get out of the sun. Jumilla is about roughing it, about getting to know farmers and their families and if you're lucky being invited into their homes to share a meal. It's a place worth getting lost in. If you've played your cards right, the person inviting you to Jumilla is José Maria Vicente. José Maria is a third generation owner and operator of Casa Castillo a farm that began as a rosemary plantation but one that has evolved into the preeminent estate in the DO of Jumilla. While the smell of rosemary still lingers in the air, the pale, rocky soils surrounding his house and cellar are now planted with vines and almond orchards. 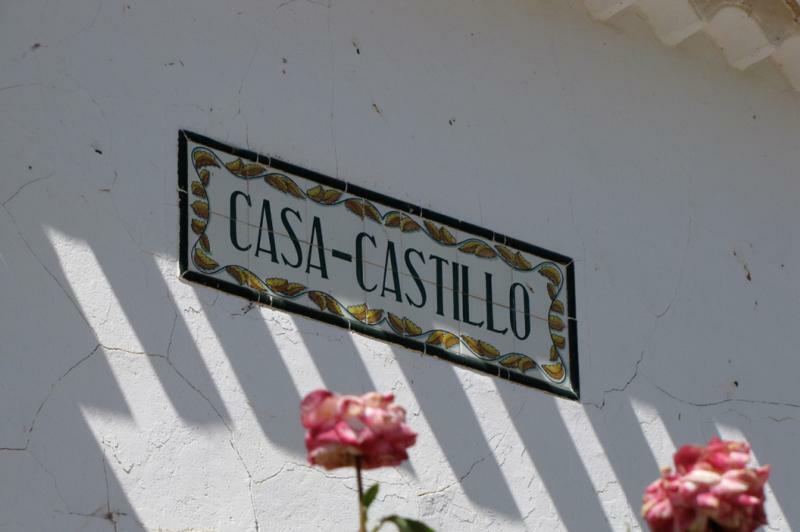 When José Maria's grandfather purchased Casa Castillo in 1941 there was already a winery, cellar and some scattered vineyards on the property dating to the 1870s, established by French refugees fleeing the plight of phylloxera in their native land. In 1985 José and his father began to replant the vineyards and expand them with the goal of making wine on the property. In 1991 they bottled their first commercial vintage. In selecting the grapes to grow on their land, they chose the indigenous Monastrell to be the primary variety. Native to the region, it was perfectly adapted to the hot, dry climate. Originally Cabernet Sauvignon and Garnacha were selected for the more gravelly soils while Syrah is grown on more sheltered sites rich in chalk. The largest vineyard, Valle, is a hot, rocky terroir planted exclusively with head-pruned Monastrell. Val Tosca is a sloped vineyard, its white chalky soils gleaming in the sun and planted with ungrafted Syrah that José received from Jean-Louis Chave. On the slope facing Val Tosca is Las Gravas, named for its deep, gravelly soils. Soil is loosely applied here since it resembles nothing more than a pile of rocks. Las Gravas is planted with Monastrell and Garnacha – as José Maria has grafted his Cabernet over to Garnacha preferring the native variety over the foreign interloper. Finally there is La Solana, an ungrafted Monastrell vineyard on sandy decomposed limestone that was planted in 1942. La Solana is the source of the scarce Pie Franco which dwindles in quantity each year because while the soil is resistant to phylloxera, it is not immune. Due to the climate José Maria is able to farm his vineyards without needing chemical treatments. Everything is harvested by hand and brought promptly to the cellar for sorting and fermentation. Fermentations are in stainless steel tanks or concrete vats. Pigeage is done by foot and whole clusters are increasingly used – up to 50% in the Pie Franco. Aging follows in concrete, foudre and 500L French oak demi-muids.